With Halloween just around the corner it is time to start thinking about party planning, special treats and of course costumes. If you are stumped on what to make, look no further! We have compiled this list of great 40 Spooktacular Halloween Treats just for you! Not only are these all great and yummy treats the kids will love, but they are super easy to make! Watching your budget closely? 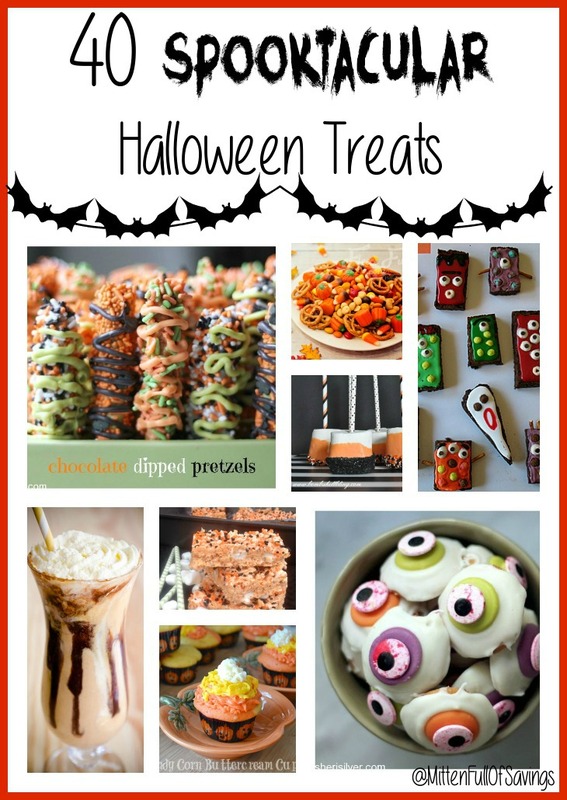 These 40 Spooktacular Halloween Treats are all budget friendly too! Mix and match the recipes above to create the perfect party platter for your Halloween event!